Composed of 2 small islands, Pano Koufonissi and Kato Koufonissi. Pano Koufonissi is the center of the complex with a port and few inhabitants while the other one is uninhabited. There are rooms to let and a camping. Apart from the taverns there is a disco and a music bar. Few cars on the island. One can also go around by foot, using a donkey or by caique. 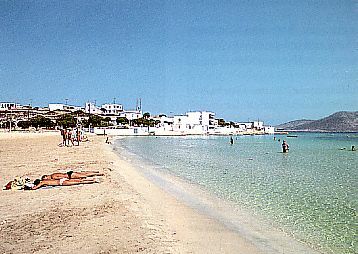 From Finikas you can visit by caique Kato Koufonissi and Glaronissi with nudists beaches.